The Triangle G (Galvin) Ranch consisted of six parcels which stretched about six miles along the southern ridge of Sonoma Mountain from south of the Route 116 at an elevation of less than 400ft to the northern highest point of 1946 feet about one mile south of the top of Sonoma Mountain. John Galvin bought the Circle W Ranch from George and Mildred Webb in 1954. 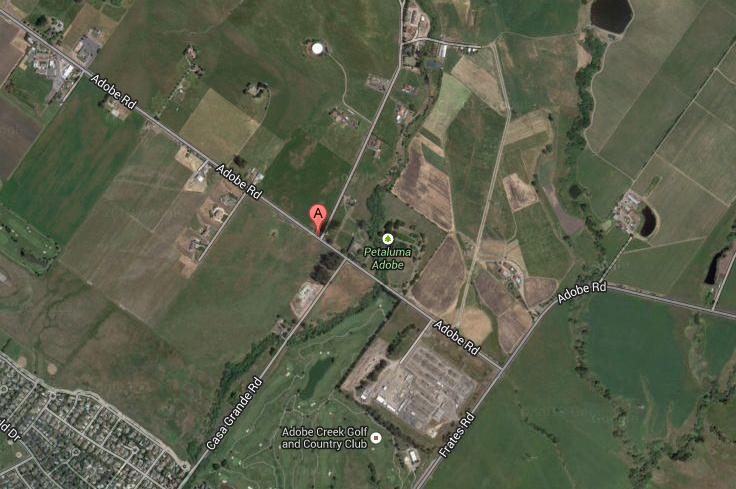 That Ranch, plus additional parcels later purchased, was known as the Triangle G Ranch. John Galvin, an Australian, worked in Asia for many years as a newspaper reporter. After World War II he got involved in commercial ventures in Asia and ended up making an estimated $375 million. Galvin brought his wife and five children to Woodside, California in 1952 according to San Francisco Chronicle articles. John Galvin is deceased and his five children now own the ranch. 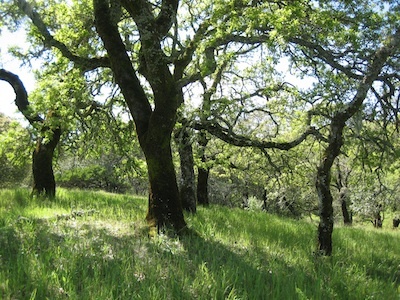 In December, 1996, Redwood California LTD, a Galvin property managed by Bill Brittain, applied to Sonoma County to subdivide five parcels and place 34 building lots in the northern area clustered along the ridge line from 1200 feet of elevation to 1900 feet of elevation where they would be visible from both sides of the mountain. The applicant requested: amendment of the County General Plan, change in zoning, exemption from the regulations governing clustering, and transferring housing destiny into a scenic landscape area. These were among the many problems with the proposed subdivision, which they called the White Oak Estates. 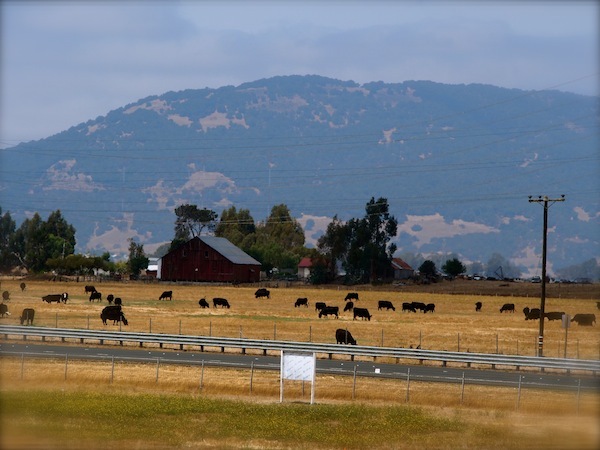 In 1997 a committee of volunteer residents of Sonoma Mountain was formed with Ray Barron, Chairman, Stephen Pavy, Treasurer, and John Barinaga, Secretary, to lead opposition to the ridge-top development. There was widespread opposition to the subdivision. The committee met periodically with Supervisor Mike Cale who was clear in his opinion that the proposed projects should not be allowed because it would set a very bad precedent. On February 2, 1997, the Petaluma City Council voted unanimously to ask the County Board of Supervisors not to approve the project as proposed. On February 19, 1997 the Sonoma City Council voted unanimously to go on record with the County Board of Supervisors not to amend the General Plan or zoning to allow such a development. 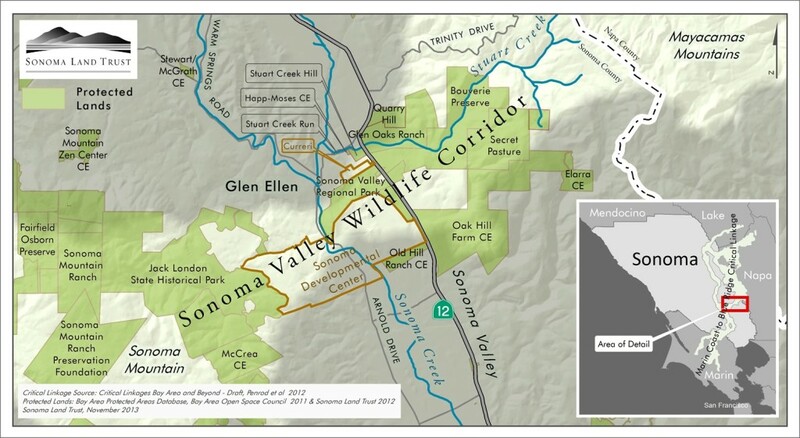 A revision to the White Oak Estates project was submitted to Sonoma County Permit and Resource Management Department in March 2000. The revised proposal offered to dedicate 394 acres of the Galvin Ranch for a park and offered to sell an additional 266 acres at a price to be negotiated on exchange for the County’s granting of permission for the 34 home subdivision on the ridge of Sonoma Mountain (in violation of the County General Plan) and the County’s provision of the access road by extending Manor Lane. The Environmental Impact Report revision was never completed because the applicant failed to provide funding. With the spring of 2001 came the good news that the Galvin family would consider selling the bulk of Triangle G Ranch rather than developing it. 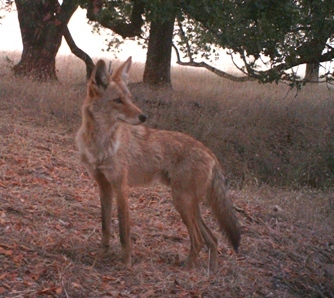 The Sonoma County Open Space District and the California Coastal Conservancy confirmed in April that they were in negotiations to acquire most of the 1746-acre ranch. Since the original application for subdivision was submitted to the county, the parcel south of State Gulch Road was sold and another 96 acres were leased to the UCC Vineyards Group and planted in grapes. In January 2002 the Open Space District offer to buy 1626 acres to the Galvin family with the right to build two homes. This ended our hopes, and the hopes of the county supervisors, that the threat of ridge top development would end with the purchase. We do not know what the Galvin family will do with the ranch in the future. Presently the ranch is used for cattle grazing and for grape growing.